DREAM REAPERS HAUNTED HOUSE: Nightmares before X-Mas~! Need some Halloween Mayhem in the midst of your Christmas celebrations? Well look no further than our good ol friends at Dream Reapers Haunted House in Melrose Park, IL to give you a scare unlike no other! 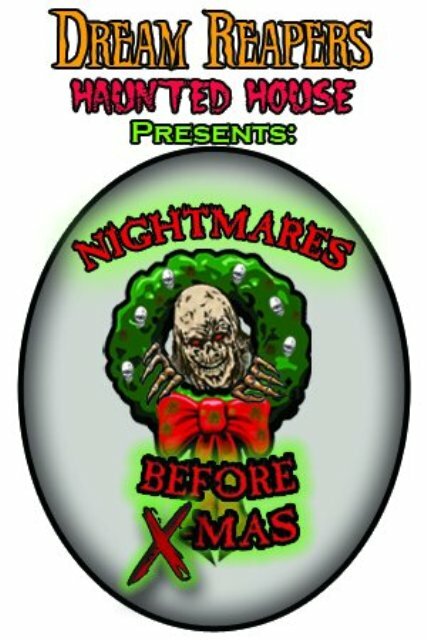 Dream Reapers decided to open up their doors for the first time in December to present an all-new Christmas themed haunt called “Nightmares before X-Mas” that is sure to scare the Fa-La-La-La-La’s out of you! 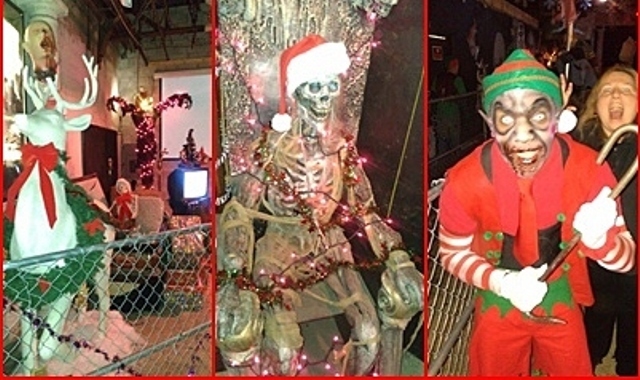 The spirited shows began December 9th and 10th and continue for a couple more festive nights of frights on December 16 and 17th, 2011. You will run into evil elves, frozen zombies, a not-so-little drummer boy and there are even pictures to be taken with Satana Claus! There are sights and smells of Christmas galore as you walk through the sparkly lighted madness, the scent of peppermint, spruce, gingerbread and death permeate your very senses. The reason for this holiday madness is that Dream Reapers was actually a victim of a burglary the day before Halloween. They are having this special themed haunt as a fund-raiser to recoup their losses so they will be able to operate for the 2012 season. 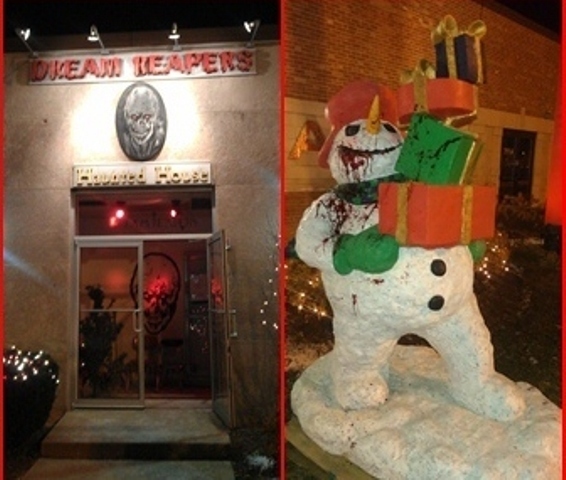 What better way to help out a Chicago Halloween institution than by stopping by Dream Reapers for a little Christmas fear…I mean cheer, bwahahahaha!!!! Reviewed by Count & Countess Gregula! This entry was posted in Haunted Attractions, Holiday Horror and tagged Countess Gregula, COUNTESS GREGULAS, DREAM REAPER'S HAUNTED HOUSE, KITTY ZOMBIE, NIGHTMARES BEFORE X-MAS. Bookmark the permalink.